Fall is fast approaching, and what better way to celebrate the return of cool weather, beautiful foliage, and… uh gourds(?) 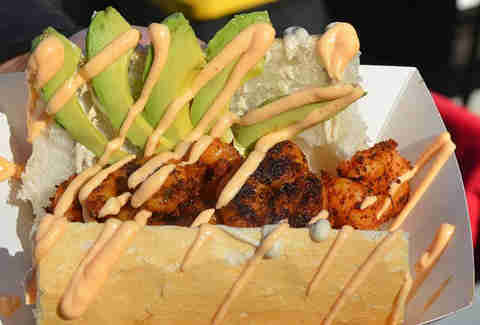 then stuffing your face at some of the most delicious food festivals our nation has to offer? 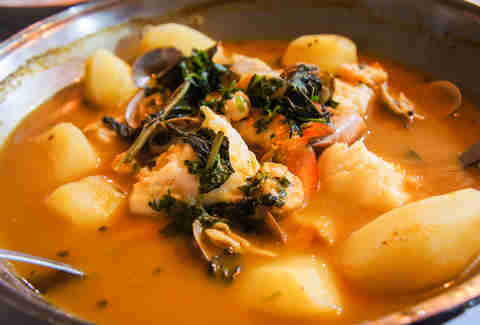 Behold below our preview of the season’s finest salutes to singular grub fixations. As the French say, bon eating! While the 2014 list of participants isn’t out yet, if this year’s perfect celebration of the po’boy is anything like the last go-round, you can expect pork, sausage, beef, shrimp, and enough variations on the classical seafood sandwich to satisfy Poseidon himself. In addition to that deliciousness, festivalgoers can expect plenty of live music and the brass band bacchanalia New Orleans is known for. Forgive them the French spelling of “omelet” and instead gracefully thank the geniuses behind the decision to crack 5,000 eggs into one massive act of (tasty) poultry sacrifice. And don’t worry, BBQ, funnel cakes, and plenty more non-œuf related grub is available for the egg averse. 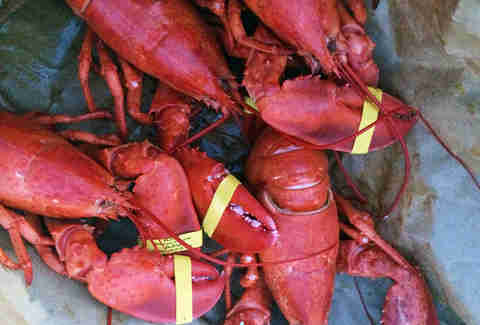 Yes, a lobster festival on the West Coast. No, our crazy pill prescription still has a few refills. How does it work? They fly in 16 tons of live Maine lobsters (a new batch every day of the festival), throw in a bunch of musical acts, add a freakin’ pirate show and let crustacean fans go to tasty town. A salute to sausage? Necessary. Why have a weekend long festival, heck a week-long festival, when you can have a ten-damn-days-long festival? 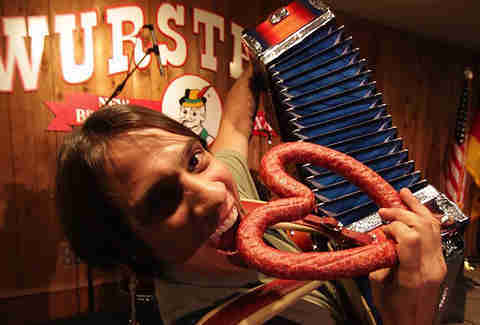 Here we have Wurstfest, ten days saluting sausage, bratwurst, and big ‘ole bowls of goulash. Yes there’s polka dancing and yes there’s a Wurstfest Skat Tournament. Skat, in this instance, being a German card game. Maybe it’s because everybody thinks of California as the land of perpetual sun, but, surprisingly, avocados do in fact have a season, and that season is fall (except for the Hass, which grows all year round). 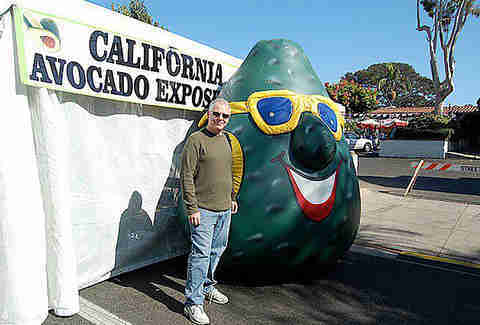 This is not only one of the largest celebrations of the fruit, but also one of the largest free music events in California with 75 acts over four stages. 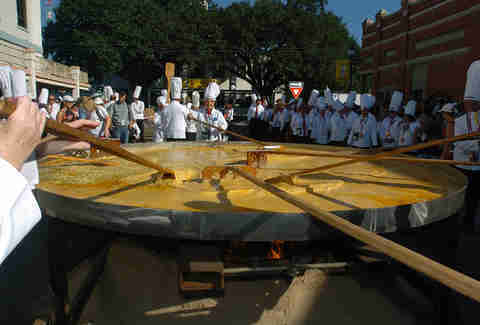 What do 175 lbs of cheese, 50 lbs of onions, and 75 gallons of red chili sauce (plus some more ingredients) equal? The biggest piece of Mexican food you’re ever likely to scarf down. 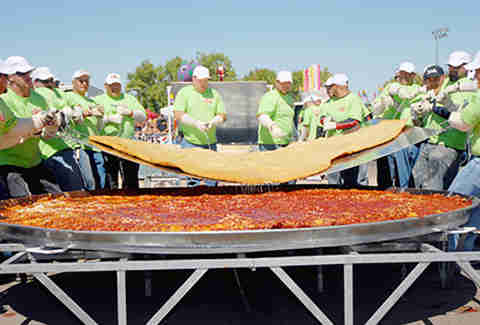 Upwards of 40,000 people descend on Las Cruces yearly to experience the epic Mexican feast that is the single biggest enchilada ever (it’s in the Guinness Book of World Records). But there’s more than just one massive meal -- music and food of the not so large variety is in abundance. Local legend holds that the stew was invented in Sulphur Springs out of necessity by rail ridin’, depression era hoboes, thrown out the boxcar and boiling up anything with the audacity to come near the supper fire. Though today there’s nary a bindle in sight, they still host the premiere contest to name the rightful heir to the hobo heritage, and have been since 1970. 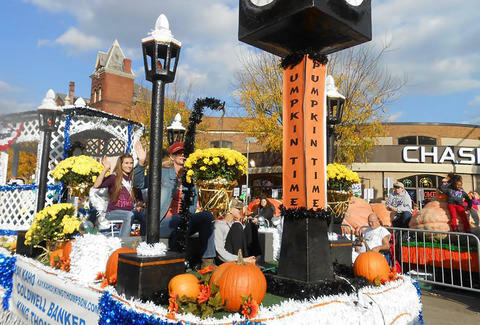 The fact that it’s been going strong since 1903 should be reason enough to include this gorgeous gourd-fest in our collection. BUT! 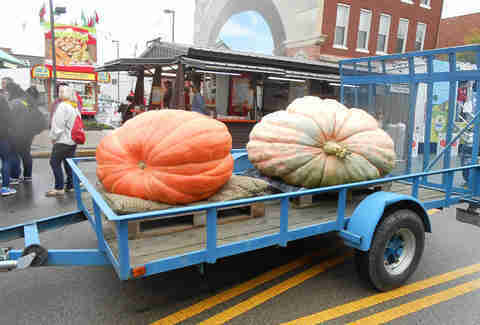 They also showcase a 6ft diameter pie, annually sell over 100,000 pumpkin doughnuts, and bring over 400,000 pump-kin from around the country during this four day festival in the town of Circleville (pre-pump’ pop. 13,500).